Carlisle FoodService Products sells its dinnerware items in the demanding healthcare industry. With high numbers of patients to feed the challenge is to serve the food at the correct temperature and keep it that way as long as possible. By integrating secondary operations, Polyfoam is able to produce dinnerware that is insulated to keep the food hot or cold from the kitchen to the patient’s room. 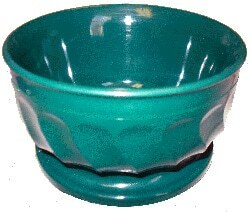 The Carlisle dinnerware is injection molded in two pieces. Once cured, the pieces go through a secondary spin-welding process that seals the parts together and creates an air pocket between the walls. The air pocket alone creates some insulating value and most of the competitors in this industry use that method alone. However, the Carlisle parts are sent through an additional operation where the air pocket is then filled with foam that adds significantly more insulation. The result is meals being delivered at the proper temperature even after time on the serving cart.